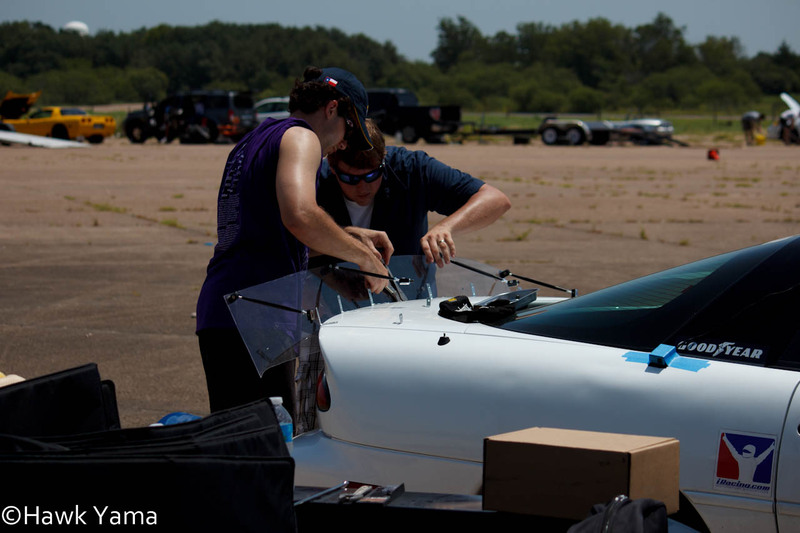 Lane Borg and I did a two-day "Solo Nationals Prep" test in College Station, TX in his A-Stock Corvette and my ESP Camaro. 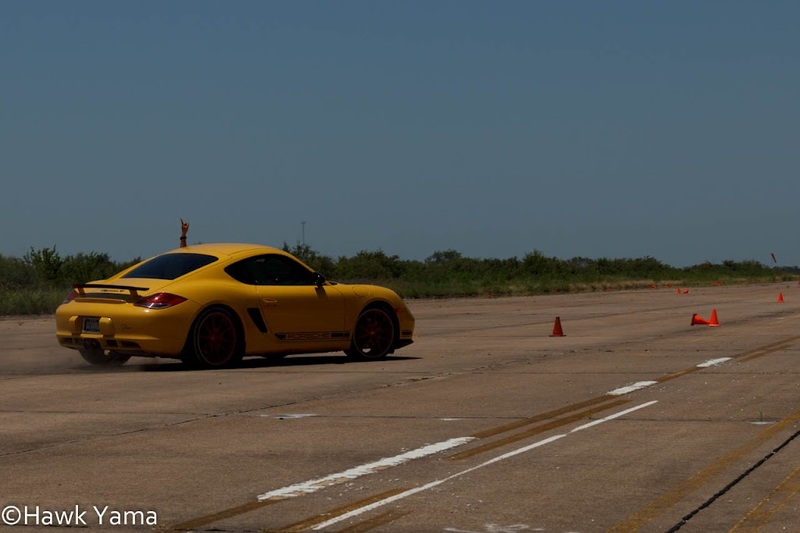 The test days were hosted by the Texas A&M Sports Car Club (big thanks to these guys!) and we had the help of our friend and co-worker Josh Pu'u. 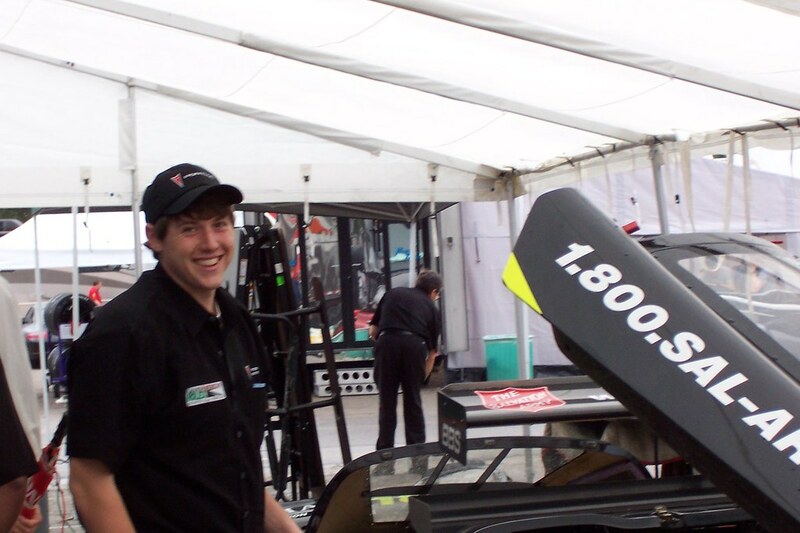 Josh helped us swap parts on the cars, take tire temperatures and generally helped run the test. He was a huge help and neither of us would have gotten as much done without out him. Also in our posse for the weekend was our buddy Yama. 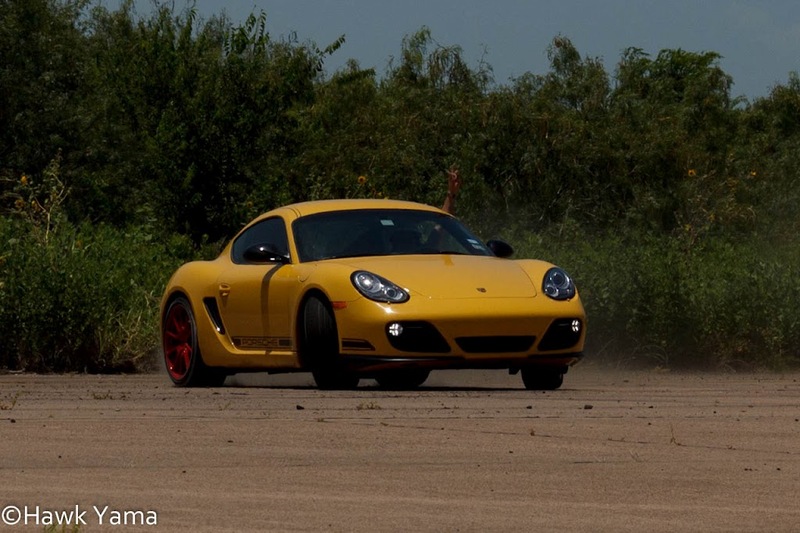 He brought his rad Porsche Cayman R for some HQDA (high-quality dicking around) and drifting. He also took all of the photos you see below...except for the photos you see of him drifting his Cayman (wouldn't that be a neat trick). I took those photos with his camera. As for the testing, Lane and I both had very productive weekends. I tested 7 different combinations plus many control re-runs evaluating the new rear spoiler, UMI 2-pt. subframe connectors, twin-tube rear dampers, and monotube rear dampers. The spoiler was a significant lap time improvement on our test course - 0.2-0.3s consistently on a 33s lap. 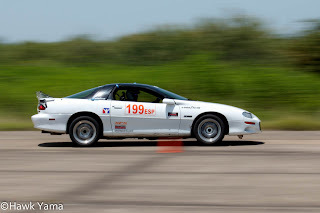 Obviously the time gain here is very course dependent, but that is what it showed on our test track that we set up to simulate the speeds of a National Tour SCCA course. The spoiler improved peak grip in high-speed corners and improved average slalom speed and made the car very progressive in transients. It did induce a bit a of understeer in high-speed offset slaloms, but it really allowed me to hammer it through standard slaloms. The subframe connectors improved average lap time by about 0.1s on our 33s test track with improved turn-in especially in slaloms. 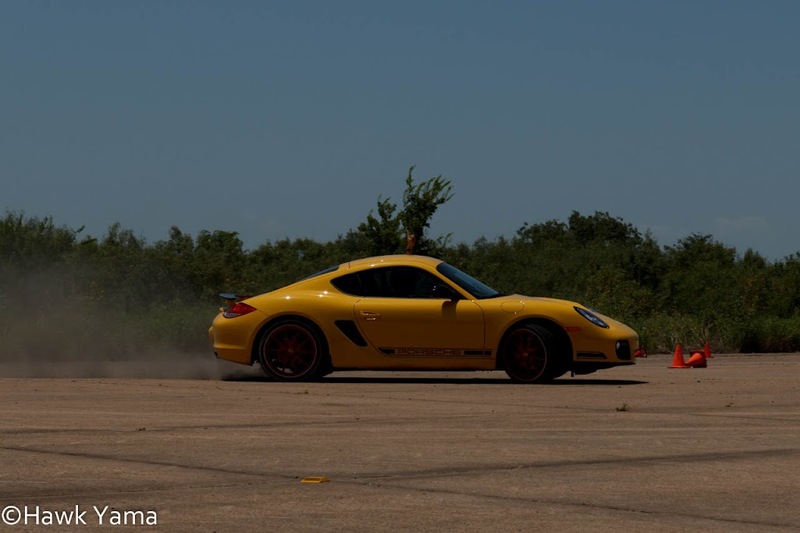 It made the front end more direct feeling and allowed me to carry a bit more speed on corner entry (less understeer). My damper tuning was less of a time gain and more of a learning experience - I learned which damper settings I liked and didn't like from a driving feel point of view. Lap times were similar but the monotube dampers made my lap times more consistent because the transient balance was more predictable and they produced less brake hop on corner entry of the hairpin corners.